This phoeotech set includes super-fine gridwork and raised details. 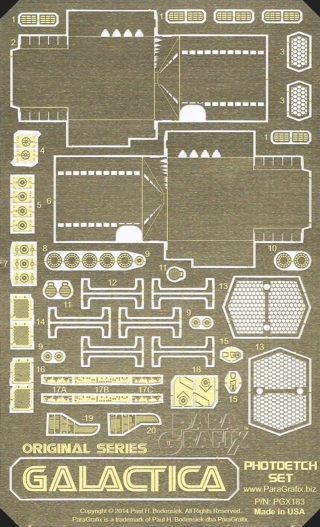 Of special note are the landing decks and engine inserts, complete with through holes for easy lighting (electronics not included). Over 65 pieces to enhance all aspects of this fantastic new kit.